When you make a website and want other people to see it, you will need to publish (or upload) it with a web hosting service. A web hosting service is a type of Internet hosting service that allows individuals and organizations to make their website accessible via the World Wide Web. it’s important to remember you have to have a domain name so your website can be found on the Internet. The domain name is essentially your company’s Internet address; the same way your company’s street address is used to find your offices, a domain name is used to find your website. Zoomla Infotech offers a complete suite of secure and cost-effective web hosting solution. 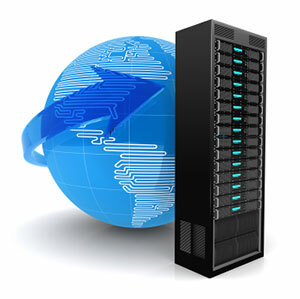 We provide the Best Web Hosting solution to manage your web presence. We are a web-hosting provider. Zoomla Infotech has world-proven capability to host your company's website, right here in India. We offer a variety of hosting platform operating system options including Windows based hosting and Linux based hosting to choose from. We also offer plans which are most suitable for your personal, E-Commerce, portal or business sites that require scripting and database capabilities. The web-hosting plans include top database and scripting tools, support and virtually unlimited capacity for websites that demand the highest performance. We are committed towards giving you all the help you need to build and maintain a successful web site. To support different designing tools for your professional web site. To provide Web hosting solutions to build plenty of web pages and support lots of visitors. Reduced browsing time by approximately 300% due to faster accessible web pages. Our Web Hosting includes PHP, HTML and MySQL with virtually unlimited databases for the advanced users to build dynamic and interactive sites.